The night was dusty, very dusty, dark, clear and warm. Midnight had faded, another day gone. Another raid was ending, new prisoners had been awakened to altered futures, as they and a handful of captured weapons were loaded onto the vehicles. Men of the 3/278 from Tennessee were folding back to Cobra, their base near the Iranian border. They needed sleep. Then came the IED. Some miles away, BOOM!, a crater was born. The first report was sparse, no further details available, not even how many were dead or wounded. But all the soldiers knew there was a high likelihood that more bombs lay hidden, waiting for soldiers to arrive. A bait and ambush. Yet some of the men, who were already tired from the raid, volunteered to drive over and help secure the area. 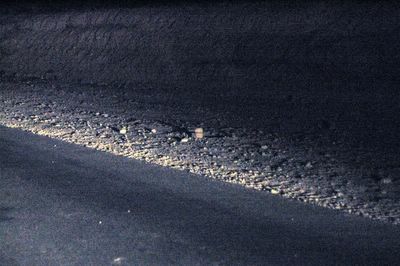 Miles later, we approached the scene, where soldiers with flashlights so bright they practically thundered revealed a crater in the road still smoking. Many IEDs leave craters, but few leave holes that keep smoking. This bomb had consisted in part of a white phosphorus artillery round. When "WP" hits flesh, flesh burns. White phosphorus ignites on contact with air, and the hole smoked because the un-reacted WP had mixed in the soil where it slowly burned. Smoke drifted into the darkness as if from the Devil's Chimney. To touch that soil would fry the flesh. Oddly, nobody had been injured, prompting speculation that the bomb had exploded prematurely. Or perhaps this was a simple bait and ambush. Any second there might be, BOOM!, and soldiers would fly in pieces and fall to the ground. Just last week, there had been a large car bomb only a rabbit's sprint from this new crater, and other IEDs had exploded close by. The soldiers call this "IED Alley." Even as I write these words, a message arrives that another IED bait-and-ambush just killed 12 Iraqi Police in Kirkuk. Their blood must still be fresh on the street. The area was extremely dangerous, but the men kept searching. 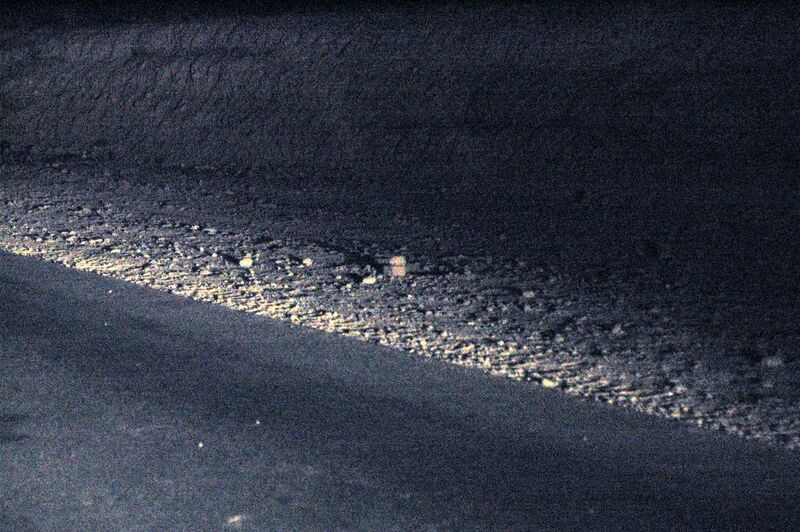 They found two rocks stacked suspiciously by the road. The men knew what this might signal, so the significance of the rocks caused no conversation other than "Hey, look at those rocks." The men searched that area. Stacked Stones: Mark of a Beast? Soldiers talked with local residents, but nothing useful was gleaned, and the men settled into the darkness to wait for the EOD team to arrive. Time dragged on. Every minute seemed to catch on a cosmic rock, or to twirl in an eddy of time. One by one those minutes broke free and flowed away until they gathered into hours. What were the EOD guys doing back at Cobra? "I liked the other guys better," said one soldier. "When there was an IED, they came right away. These new guys leave us hanging." When soldiers are exhausted, waiting in dangerous places, they rarely offer slack. 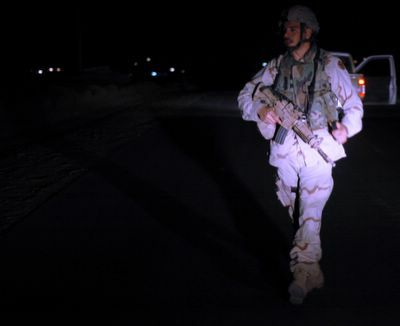 In reality, there probably is no more dangerous job in Iraq than EOD, and few people other than medics are more often stirred from sleep with bad news. A dog barked in the distance. Roosters crowed and I scanned the surroundings with a night-vision monocular. A soldier with a tired voice said, "Is it just me, or has time just seemed to completely freeze? I mean, time has completely stopped." Even the stars overhead seemed to freeze in place. Time. Time. Time. 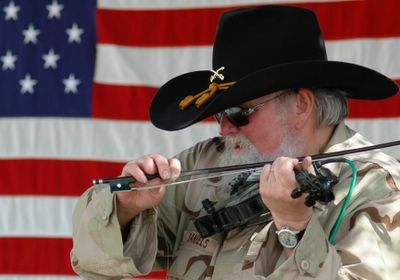 Despite the risk, and the gathering chill settling over the sweating soldiers, they began to talk about Charlie Daniels, who was scheduled to fly into Cobra for a concert in less than ten hours. The men were calculating how long they had been awake, and how long it would take to get back to base. But they had made up their minds that if Charlie Daniels was going to risk his neck to fly to their tiny outpost near Iran, they were not going to miss the concert. The roosters kept crowing. The dogs went quiet. Where are the insurgents? Obviously they had just been here. Are they sleeping? Creeping up on us? Where is EOD? Finally, headlights in the distance. The EOD team arrived from Cobra, and they searched for evidence and found clues, then took a shovel and turned the soil where the white phosphorus smoked. With each shovelful tossed into the air, the phosphorus found oxygen and ignited and flared as if it were burning brimstone. The work was completed and we headed back to base, where it was still dark, and breakfast was being served. The men were hungry but most of them walked on by and fell asleep without eating. Some hours later, sure enough, while the sun was nearly straight overhead, the Charlie Daniels Band (CDB) came skimming low over the Iraqi wilds in Blackhawks. The helicopters set down in Cobra, and it was the sound of those helicopters that woke many soldiers to the arrival of the CDB. Charlie Daniels had promised months ago that he would visit the 278th in Iraq, and when he did, the soldiers were happy, and they were smiling. 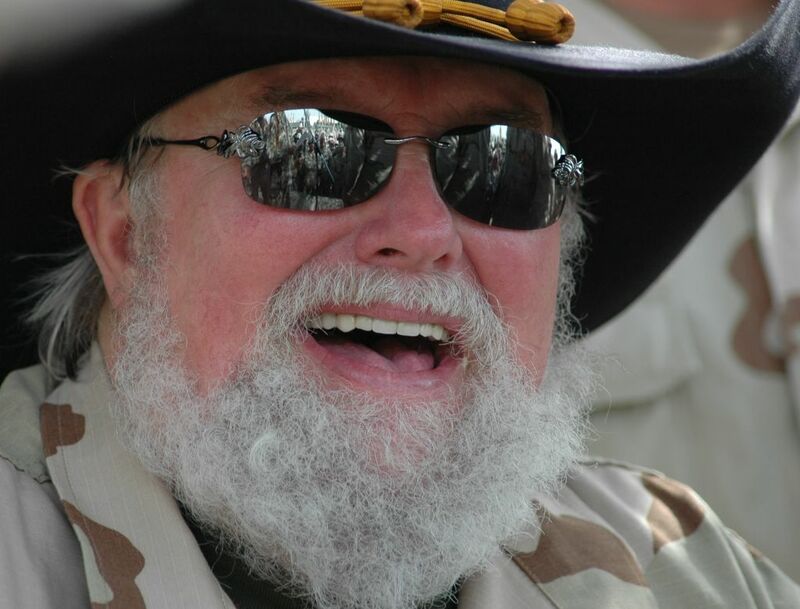 At least two of them said, "I never knew Charlie Daniels was the one who sung 'The Devil went Down to Georgia.'" And just as quickly, the CDB flew away into the wilds for another concert at another base. Time resumed at its normal cadence. It was time for another mission.